Professor Chan is the author of over 100 scientific papers and is the principal author of the studies into the development of ground breaking treatments including Docetaxol and Targeting Therapy. He is an integral member of numerous national and international steering committees for clinical trials, and is currently the Director of Clinical Trials in Breast and Gynaecological research at Nottingham University Hospitals. In 2009 he assumed the role of visiting professor of Cancer Medicine at Nottingham Trent University – a position that invites incisive research due to his close collaboration with specialists at the John van Geest scientific cancer research facility. Such a diverse range of cancer research interests culminates in a dynamic overview of all forms of clinical cancer treatment and exploration. In 2015 he was made a Professor at the University of Nottingham. Professor Chan was part of the April 2014 research in the HAGE antigen. The report is the first to show HAGE to be a potential prognostic marker and a predictor of response to ACT in patients with breast cancer. Research Interests: Clinical Trials and Translation in Breast and Gynaecological cancer: Supported by the Nottingham Cancer Clinical Trails Team (NCCTT), Professor Chan has established a research group that allows the latest treatment options and drug trials to be made available to patients with breast and gynaecological derived cancers. Over the 25 years since the group’s inception it has taken part in trials for licensing of drugs such as Herceptin, Taxane and Lapatinib among many others, which provided the evidence for their clinical benefit. The accumulation of evidence via well run clinical trials is of great importance, as it helps to support NICE in its review and approval of new treatments. The discovery of a suit of biomarkers which can predict how a patient will respond to chemotherapy. The creation of a statistical system which weighs diagnostic characteristics of a tumour sourced from clinical, pathological and biomarker profiles, to predict response to chemotherapy. Developing cancer vaccine targets based on tumour specific antigens (TSA’s). In support of these interests the group has formed beneficial collaborations with researchers both locally at Nottingham Trent University and the University of Nottingham, nationally with researchers based in Cambridge, and internationally with researchers at the Breast Clinical Trials Unit in Perth in Western Australia. 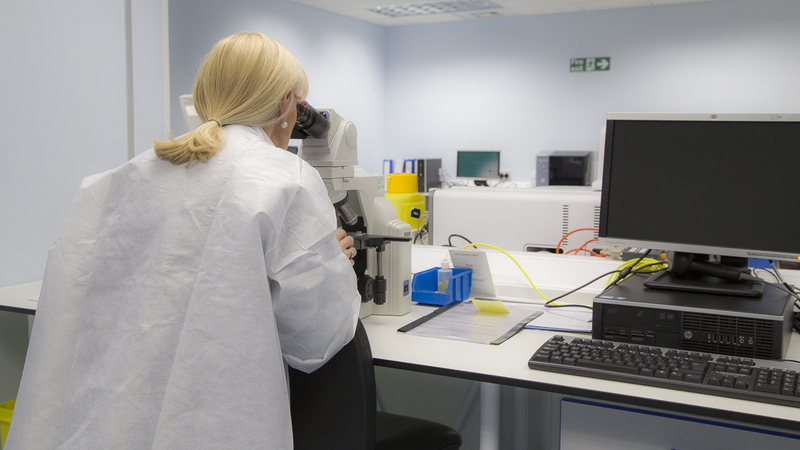 The group’s database of patient information and samples has been now complimented by the new NUH Tissue Bank initiative underway within the histopathology department. This will lead to a great expansion of information on patient response to treatment and will allow translational research to accelerate. In the future, it is hoped that patient-tailored treatment will become the norm. This can only occur through the work of translational research groups, the collaboration with pharmaceutical companies and the financial support provided by donations and funding bodies. It is this union that Dr Chan has established at Nottingham University Hospital.